Chris Travis joined Capstone Building Corp. in 2002 and he currently serves as Chief Operating Officer. With a background in the manufacturing, accounting and insurance industries, Chris brings both operational and financial leadership to guide Capstone Building Corp. through its day-to-day operations. His responsibilities include owner contract negotiations, risk management, oversight of all legal aspects related to the company, corporate human resource management, accounting and management of the bonding, insurance and banking relationships of Capstone Building Corp., In addition, Chris works with Capstone Building Corp.’s project managers daily to assist them in overcoming issues related to their specific projects. 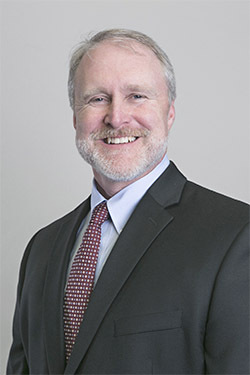 Chris has served in various roles during his 21-year career prior to joining Capstone Building Corp., including Financial Officer/Assistant Vice President for a large insurance brokerage company, Controller/Vice President for a manufacturing company in Tennessee and Corporate Safety Director for a large industrial pipe and fitting manufacturer in Alabama. Chris received his Masters of Business Administration from the University of Alabama at Birmingham, his Bachelor of Science in Accounting from the University of Alabama and is a Certified Public Accountant for the State of Alabama.